On Wednesday, January 23rd 2019 we will be holding a networking event/meetup for people who are attending the NSSF SHOT Show in Las Vegas. 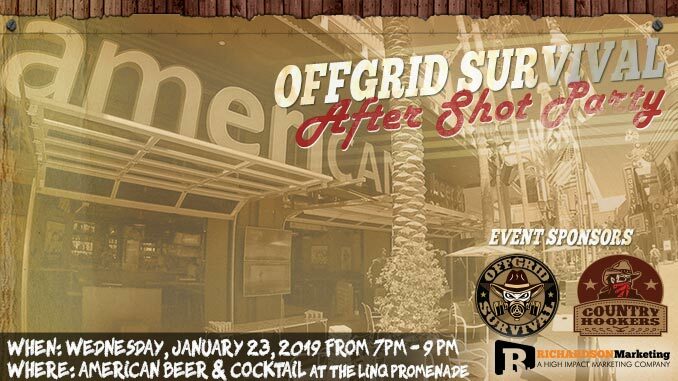 Come network with Richardson Marketing, our content brands OFFGRID Survival & Country Hookers, and other outdoor industry and shooting sports professionals at our afterSHOT Networking Party. This is a free event, for those who are attending the SHOT Show. Anyone in the Shooting, Hunting & Fishing Industry, Defense & Law-enforcement, and the Outdoor lifestyle Industry is invited to come and network. We will be giving attendees 2 for 1 Drink tickets at the door. 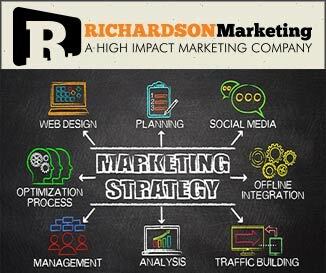 Richardson Marketing provides marketing strategies, branding, social media, and lead generation campaigns targeted at the hunting, fishing, shooting, and outdoor lifestyle consumer. We work with a wide range of clients, but at our core is a love for the Shooting, Hunting & Fishing Industry, Defense & Law-enforcement, and the Outdoor lifestyle Industry. OFFGRID SURVIVAL is one of the top preparedness/survival websites in the world. The site is dedicated to helping people become more self-reliant and better prepared to face the very real threats that exist in today’s world. COUNTRY HOOKERS is dedicated to promoting Fishing and Hunting throughout the world. They feature stories, tips, and article from professional hunters and anglers from around the world.